After the mid-thirties, international music prevailed upon tango, to such an extent, that our more traditional tango orchestras included foxtrots, polkas, corridos, pasodobles, congas and rhumbas in its repertoire. Since Francisco Canaro, Francisco Lomuto and the Típica Victor until Julio De Caro and Osvaldo Fresedo, they alternated tangos with the most extravagant music. But the appearance of the audacious and fast beat of Juan D’Arienzo, again placed tango into the preference of the young, who not only recovered the liking for its dance, but also eagerly started to recreate it. Hundred of orchestras and vocalists sprang up then, creating the revival of the two-four and so came the wonderful forties. 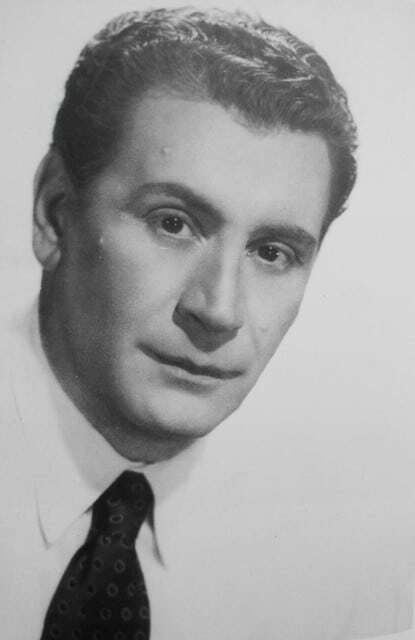 Alfredo De Angelis belongs to the group of orchestras that focused their interest on dancing. This, however, does not mean they lacked artistic value, on the contrary, they were precise in execution, with good arrangements and were lined-up with great musicians and vocalists. Our intellectual élite always looked down on popular things, on what was easily accepted by people’s choice, because they disregarded, and disregard the sociocultural phenomenon represented by dancing. I always heard people say that De Angelis was a merry-go-round orchestra, that it only was of use for dancing rooms, that it lacked creativity. I guess the expression made allusion to the funny habit of the dancers of their displacement on the place turning round following the outline of the dancing floor. From other point of view, the criticism may aim at the easy, elementary and routine music of the merry-go-rounds (carrousels). I find these definitions somewhat mistaken. De Angelis had the beauty of a harmonious and synchronized work, from which a neat simple tango was evidenced, achieved through an efficient handling of rhythm, a careful respect for melody and the showcasing of the singer. Continue reading.